Some start their piano studies at the age of three, but for Maxim Bernard it began at 13 when he discovered his passion. His development has been phenomenal; by age 18 he was invited to perform Beethoven’s magnificent Fourth Piano Concerto with the Edmonton Symphony Orchestra! 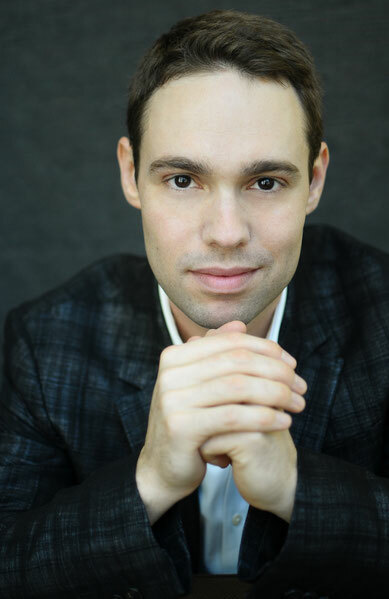 After completing his studies at the Québec Conservatory of Music with the pianist Suzanne Beaubien, his driving passion led him to further them with one of his idols, the pianist André Laplante at the Glenn Gould School of the Royal Conservatory of Music in Toronto, where he received his Artist Diploma. Maxim fell in love with the romantic style of interpretation. The great pianists of the past such as Cortot, Horowitz, Rachmaninoff and Friedman are for him a strong source of inspiration. In 2004, he met the legendary pianist Menahem Pressler at the Orford Arts Centre and the chemistry between them was immediate. After hearing Maxim play, Pressler declared “I believe in your future!” A few months later, Maxim was on his way to the University of Indiana to study with his new mentor, where he earned both his Master’s and Doctoral degrees in Piano Performance. He developed his unique style, and music has become for him a spiritual experience. His sensitivity, his personal touch, and the contagious spontaneity he brings to his interpretations combine to make him an exceptional pianist. He has been a prize winner at many competitions, including the CBC Young Artists Competition and the Indianapolis Matinee Musicale Competition. He was the first-prize winner at the Indiana University Jacobs School of Music Concerto Competition with his interpretation of Brahms’ First Piano Concerto. In 2006, his career was launched after he won the prestigious International Stepping Stone of the Canadian Music Competition. He taught for five years at Indiana University and he is currently Professor of Piano at the Rimouski Conservatory. His qualifications led him to serve on juries of many music competitions throughout Canada. Maxim greatly appreciates playing with orchestras. We heard him with the Orchestre Symphonique de Québec, the Orchestre Philharmonique du Nouveau Monde, the Peterborough Symphony Orchestra, the Bloomington Symphony Orchestra and Les Violons du Roy, to name just a few. With the support of the Canada Council for the Arts, Maxim spent the year 2015 in Germany. This stay provided him with the opportunity to give recitals in Cologne and Paris. In 2016 the radiance of his recitals led him to solo performances in Bonn, at the Konzerthaus in Vienna and at the Palais des Beaux-Arts in Brussels. During this coming season, he will make his debut in London at the prestigious Wigmore Hall. He will be also the guest soloist with the Ottawa Symphony Orchestra and the Sinfonia Rotterdam, orchestra with which he will make a concert tour in the cites of Rotterdam (De Doelen), The Hague and Amsterdam (Concertgebouw). Maxim constantly searches for original ideas for his innovative thematic concert programs. His concert “1914-1918” continues to fascinate the public. In 2017, he wishes to celebrate the career of one of his favorite musicians, Vladimir Horowitz. Maxim recreated the program that the legendary pianist played in Moscow in 1986 on his return home after a 60-year exile. Maxim also has an interest in languages; he speaks French, English and German.